Condition Details: Light scratching that should not affect use. 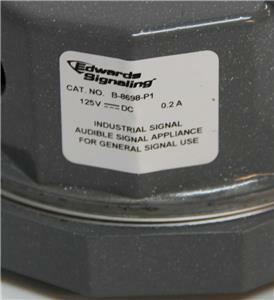 Edwards Signaling B-8698-P1 Audible Signaling Device 125VDC 103Ohms (4373). 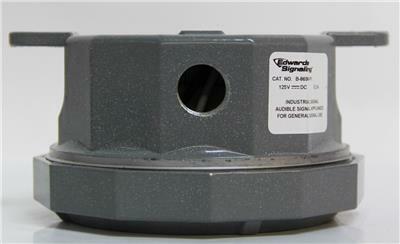 Heavy duty buzzer with sound being produced by the hammer action of a vibrating armature against the cover and starts and stops instantly with current impulse. 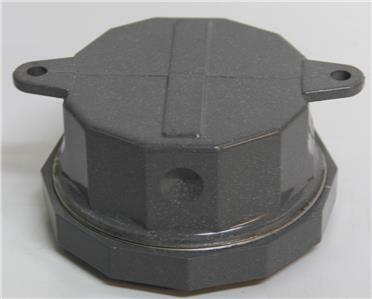 Cover is secured by cast aluminum threaded ring and sealed with a neoprene gasket. Two mounting lugs for easy wall mounting. Ideal for use in areas where a louder signal would be distracting. Good for indoor or weatherproof installations such as construction sites, shipping docks and paper mills. 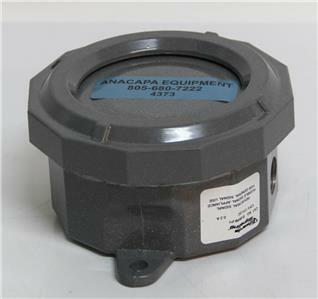 Description: Heavy duty buzzer with sound being produced by the hammer action of a vibrating armature against the cover and starts and stops instantly with current impulse. 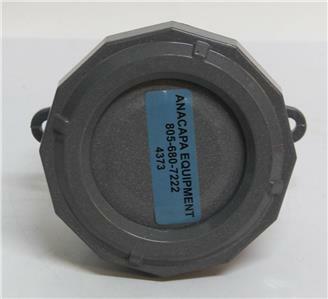 Cover is secured by cast aluminum threaded ring and sealed with a neoprene gasket. Two mounting lugs for easy wall mounting. Ideal for use in areas where a louder signal would be distracting. Good for indoor or weatherproof installations such as construction sites, shipping docks and paper mills. Defects: Light scratching that does not affect use. dB @ 10 ft: 89.